Our series of four Viking Embroidery Basics classes is designed to teach you about stabilizers, thread, needles, hooping (or not), and the basic functions of your Viking embroidery machine. If you are a new machine owner or if you just need a bit of review, these classes are for you! 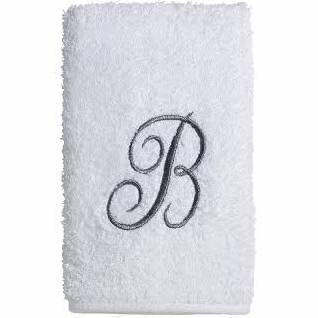 This month you will learn to do a single letter monogram on a terry towel.